The new Midnight Navy shade in our DyeMore line is the perfect companion to your next shibori project! With the incredible growth in popularity of polyester and polyester blends, Midnight Navy in DyeMore is the dye you need to tackle those synthetic fabrics you have. 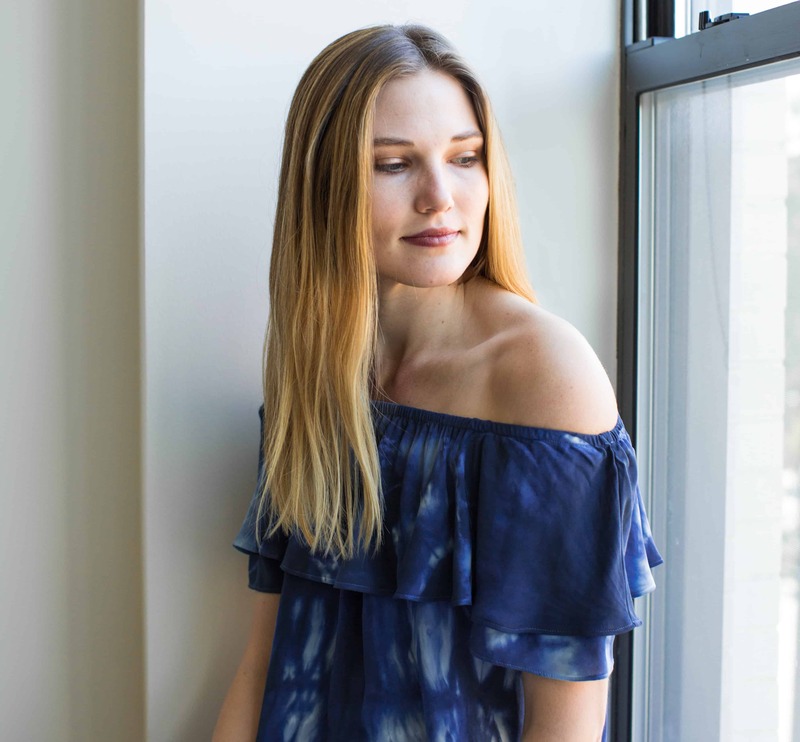 This blouse (originally white from Macy’s) is so much cooler now with a shibori blue pattern! For best results, prewash blouse to remove any finishes that may interfere with dye absorption. Leave damp. Accordion fold or “fan fold” blouse lengthwise in approximately 2” wide folds down the length of the blouse. This will form a long, rectangle similar to a fan. Clip the folded fabric layers together with large office binder clips. Space the clips along each side of the folded blouse, positioning them so they are alternating from side to side. The clips create a resist and prevent the dye from penetrating the fabric, resulting in white patterned areas. The more clips used, the more white areas there will be. Wearing rubber gloves, fill a stainless steel pot with 3 gallons of water. Add 1 teaspoon of dish detergent to help promote level dyeing. Cover pot and heat water on stove top to just below boiling (200 F° or greater). When water begins to simmer, add one bottle of well-shaken dye and mix well. Keep temperature at a low simmer for the duration of your dyeing. When desired color is achieved, remove from dyebath. Fabric will look darker when wet and will dry lighter. This blouse was left in the dyebath for 30 minutes. Squeeze out excess dye. Remove binder clips and rinse in warm water and then gradually cool water until rinse water begins to run clear.